We are a bit beside ourselves with excitement to announce we are on the bill for the third Club A Cappella at the Other Palace in Victoria. We are heading, yes headlining, the Festival of Choirs at Dulwich Festival. Click on the image to buy your tickets!! 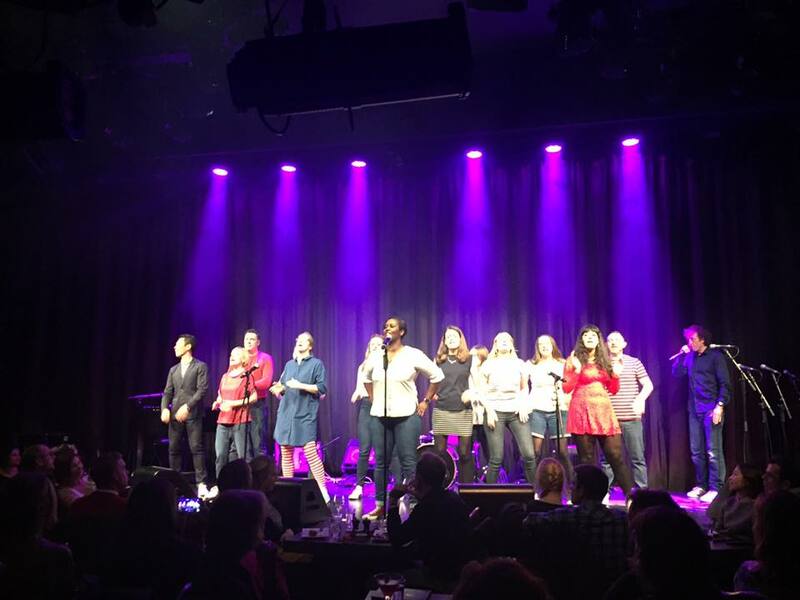 November - we performed at the Hippodrome again in aid of Global's Make Some Noise, a charity which helps disadvantaged children and young people. We raised a Whopping £1,200!! This weekend The Noteables are heading to Camden. We are taking part in some of the workshops that are happening as part of the Voices Now Festival which is at the Roundhouse all weekend. Beatboxing and body percussion if you must know! Then we are taking to the stage at 7pm on Sunday. Come along for a listen! Excitement levels couldn't be higher. Get watching us on Pitch Battle at 7:30pm on BBC1 tonight! Here is a sneaky peak at Katherine and Jess letting rip in our Showstopper! Our episode of Pitch Battle is now going to be shown on 24th June at 7:30. Excited. Nervous. All the emotions. Here is our official press shot. Nice huh? Stand by folks, the Noteables are going to be on TV!! 7:30pm on BBC1 on 15th July. 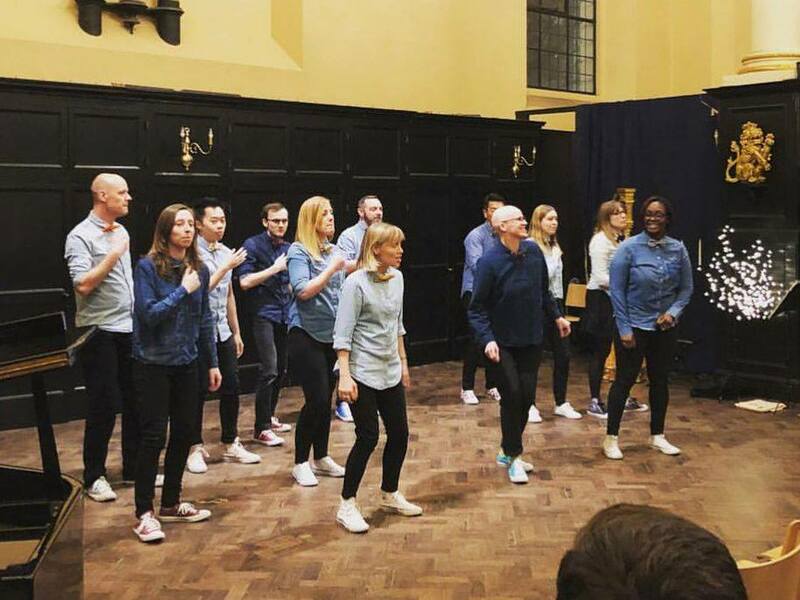 We are bursting with excitement (having had to keep it a secret for quite some time) to announce that the Noteables are taking part in Pitch Battle, a new BBC 1 choir competition coming to your screens this summer!! Waaaaaaaah! £1,100 raised for Global's Make Some Noise!!! Thank you to everyone who came to support us The Hippodrome Casino last night. MEGA thanks to our guests: Brendan Patricks, Rob Thomas, Quizcats and Orlando Seale. Thank you all is helping us raise £1,100 for Global’s Make Some Noise charity. The Noteables finally make our West End stage debut! An honour to support our fabulous choir master Vikki Stone on stage for such a fabulous cause. Yay! We competed in the St Alban regionals for Choir of the Year and have achieved National selection. We were absolutely thrilled to have been named as the winners of The Manchester Amateur Choral Competition in Manchester. There was some very tough competition on the day, and there was a very high standard of choirs competing. In particular, we must mention The Pink Singers, who were runners up, and we all thought were amazing, and were totally deserving of the crown. We were very lucky to have been named winners alongside such a slick group. We can't wait to go back next year and perform our "winner's set". Pop the 28th Feb in your diaries folks!